Hanging wallpaper around windows is tricky. You can put a strip above a window, and then put a strip of the exact same width under the same window, but when you hang the next strip, which will go from the ceiling to the floor, butting up with the two previous strips, you often discover that, no matter how meticulously plumb you kept the paper, or how much you twisted and maneuvered it, there is either an overlap or a gap. In this case, there was a 3/16″ gap. 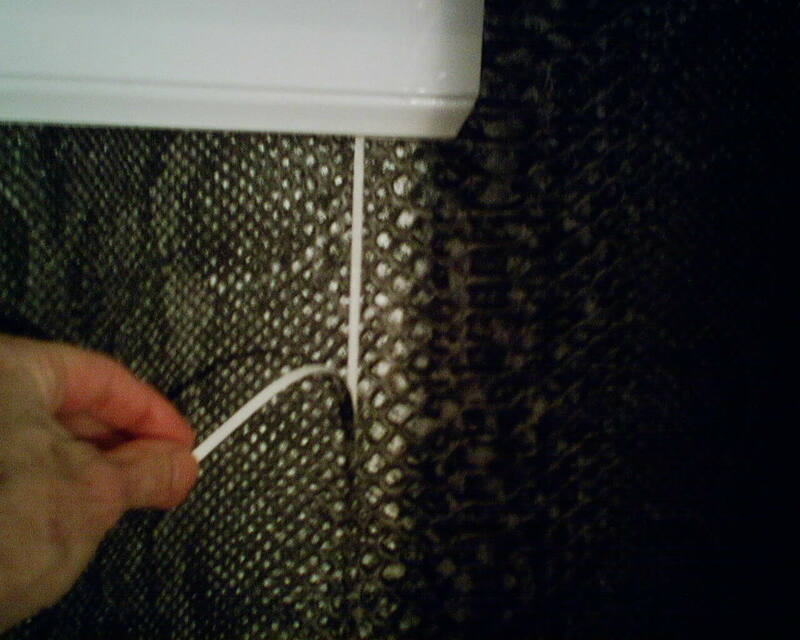 The wallpaper was on a non-woven substrate backing, which is not very flexible or malleable, so I was not able to work it into place. Instead, I chose to trim a fresh piece and patch it in. 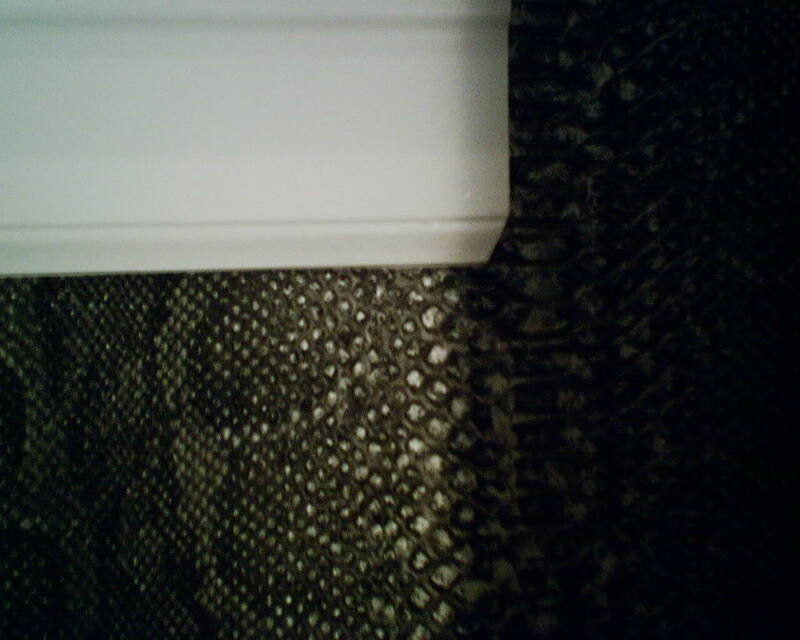 With this busy snake-skin pattern, you never even notice! 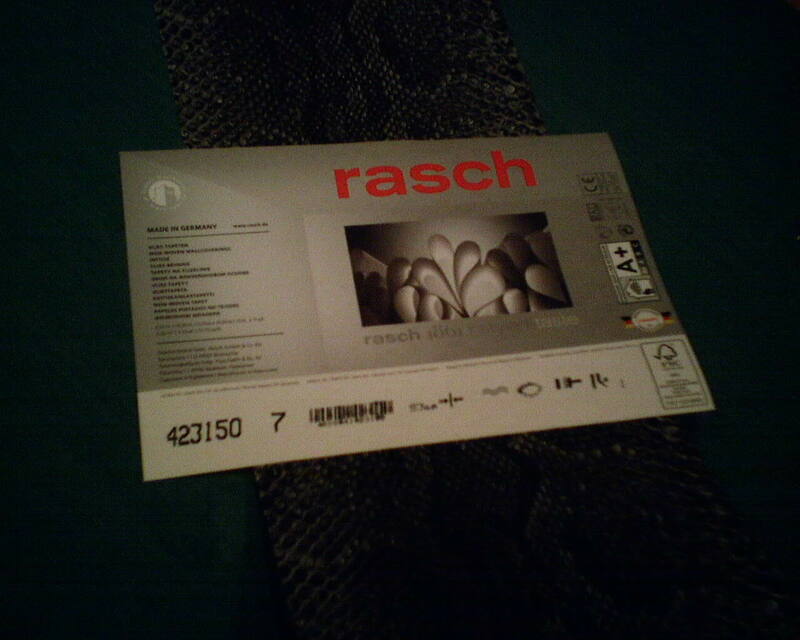 This thick, textured faux snake skin wallpaper is by Rasch, a German company. Pattern #42350. This entry was posted on February 22, 2014 at 4:15 am and is filed under Uncategorized. You can follow any responses to this entry through the RSS 2.0 feed. You can leave a response, or trackback from your own site.